Seven Falls and Pikes Peak Highway can be great ways to experience Colorado Springs over break. Photo courtesy of Flickr and Wikimedia Commons. Spring break. After summer and finals week, it’s arguably the best time of the year for busy students who just need some well-deserved time off. Colorado Springs boasts 300 days of sunshine and over 50 beautiful attractions. Tourists are flocking to the city as well — over 5 million visitors stay in the Springs overnight annually, according to the Colorado Springs Convention & Tourist Bureau. If the natural beauty doesn’t suit you, you can always go to one of the Springs’ many museums, restaurants and indoor attractions, like the Olympic Training Center. While it doesn’t have a beach to doze off on, there are plenty of opportunities to experience the natural beauty and quirks Colorado Springs has to offer just a few miles from UCCS. Visit the Cliff Dwellings, located just outside Manitou Springs, a 20-minute drive from Colorado Springs. The Dwellings are comprised of Anasazi ruins that are nearly 1,000 years old. Students can tour the apartment-style dwellings in the cliffside and go in the Pueblo-style museum that includes Anasazi artifacts and a gift shop. Once you’ve toured the dwellings and the museum, go on the nature walk to see native herbs and flowers. Drive to the summit of Pikes Peak, affectionately referred to as America’s mountain. 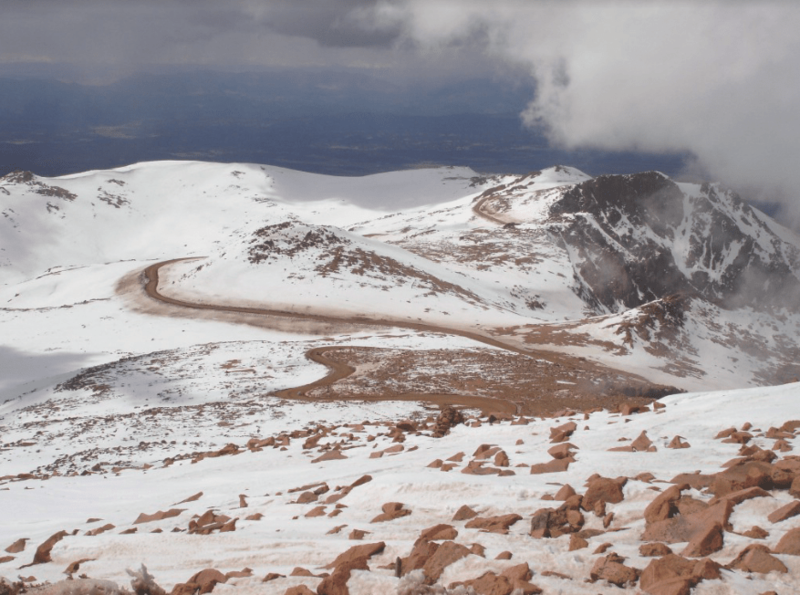 At 14,114 feet, Pikes Peak stands majestically in the air and includes even more majestic scenery on your way up. From the tollgate to Crystal Creek Reservoir, the view over Ute Pass captures it all. To enjoy a nature hike through the woods, visit the Pike National Forest or Elk Park Pullout located near the summit. 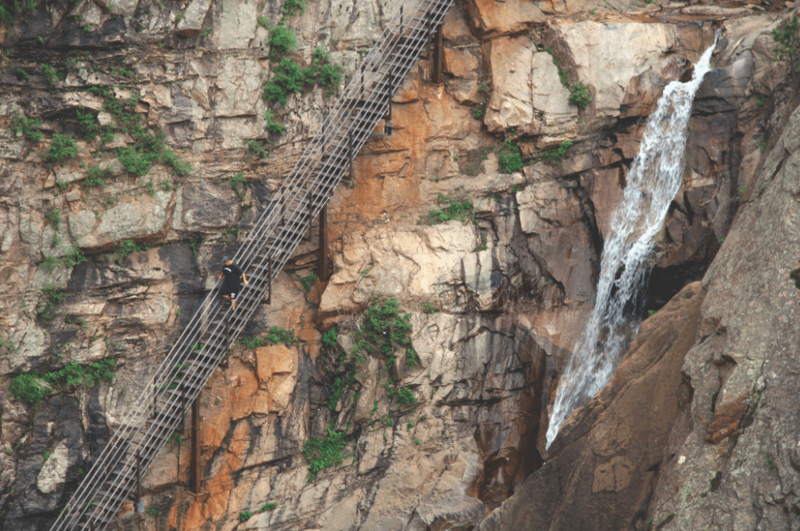 Travel up the 224-step staircase from the base to the peak of Seven Falls, which drops 181 feet. Located near the beautiful Cheyenne Mountain, the winding streams and valleys serve as beautiful scenery for a day-time excursion. You can also view the Pillars of Hercules ascend to over 900 feet from the base of the canyon. Once you get to the top, you can see the waterfall. Zipline tours and the 2,500-foot walkway are also options. After your tour, dine at Restaurant 1858, where you can experience Colorado dishes in a rustic environment. Take a tour of where Olympic athletes, like Adam Rippon and UCCS business student Mirai Nagasu, trained for glory, just 12 minutes from campus. The USOC hosts hourly tours Monday through Saturday from 9 a.m. to 4 p.m.
On the tour, you’ll begin with a short film and be led through an outdoor tour of where the athletes train, including the weightlifting, wrestling and gymnastics facilities. You’ll also have the chance to view the U.S. Olympic Hall of Fame. Take a tour of Glen Eyrie Castle for just $9 a person. Included in the 90-minute tour to learn about General William Palmer, who founded the city of Colorado Springs, and view the beautiful architecture and landscape that make the castle a local treasure. For around $23, students can also have morning and afternoon tea in the castle if a walking tour isn’t your style. Small pastries and an exclusive menu are included in the Spring Tea offering. A geological walking tour is also an option for students. Discover the quirky landscape of Queen’s Canyon near the castle to see the red rock formations. After you’ve taken a walking tour and driven up Pikes Peak, stop by Phantom Canyon Brewing Company, a local brewery downtown (students 21 years and older, please). Choose from a variety of cocktails, wine, scotch and, of course, in-house brewed beer during happy hour from 3 – 6 p.m. If you’re not in the mood for a drink, try their delicious menu. Items like pub wings ($12) or pork belly mac and cheese ($16) are a nice treat to ring in spring break. Menu items generally range from $4 – $28. If you’re looking for something off the beaten path, The Rabbit Hole, an underground speakeasy downtown, is your place. The Rabbit Hole is a great place to take a group of friends on a weekend and enjoy the restaurant’s quirky drink and food menus. For $17, enjoy bacon-wrapped rabbit meatloaf with a Colorado beer or signature cocktail, like the White Rabbit ($12). Enjoy Happy Hour 4 – 6 p.m. Monday through Friday, where appetizers are half off and wines and drafts are just $3. Marigold Bakery and Cafe is hailed for its delicious desserts, but the cafe boasts a delectable lunch menu as well. Meet up with friends for fish and chips ($13.50) or even pizza ($12 – $13) on a weekday to catch up from a busy semester. When you’re done, visit the bakery for fresh bread, cakes, tarts and other treats to feel the sweetness of spring break. Address: Highway 24, Fountain Ave. Address: 3820 N. 30th St. Address: 101 N. Tejon St.